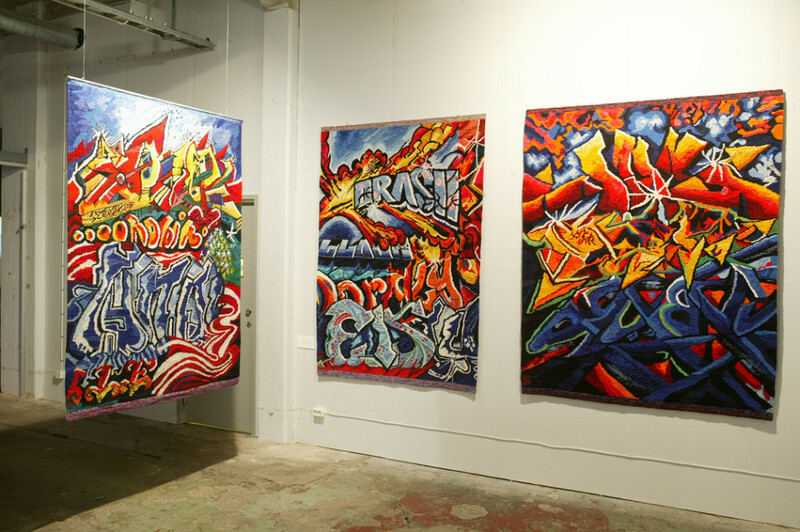 Robin, Lee, Crash – this “Graffiti Tapestry” by Stockholm based textile artist Lars-Erik “Lejo” Johansson looks like a sampling of images from “Spraycan Art” and “Subway Art”. Some might call this an homage, others a bad copy and some others both. Anyhow, these objects which take meanings out of their “original context” are always interesting as a starting point to rethink one’s categories. These are photos from an exhibition in Stockholm in 2006. 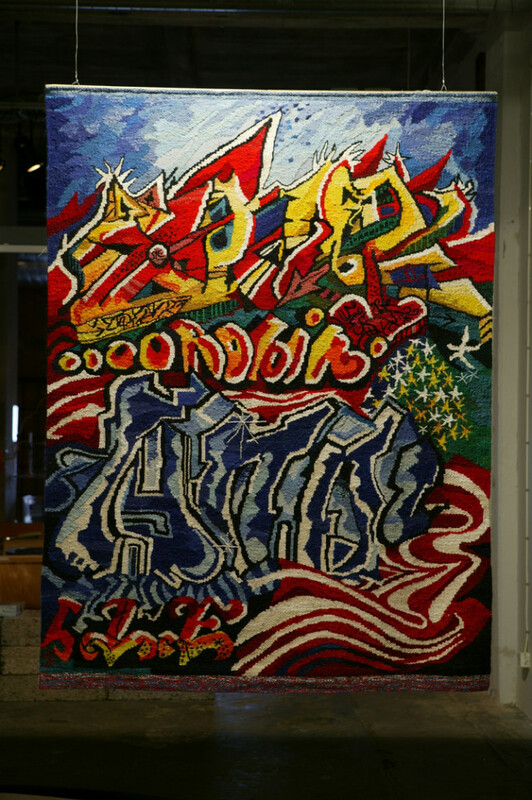 Apparently Johansson is the only Swedish to have studied at the Manufature Nationale des Gobelins in Paris – one of the most prestigious centers of textile arts worldwide.